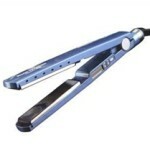 Find a new favorite flat iron? Have a healthy hairstyling tip? A must-have potion for those lovely locks? Tell us! 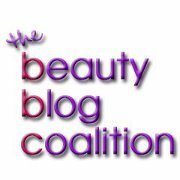 Send us your hairstyling tips, product reviews, questions, blog entries, you name it! We may feature it online on our blog or in an upcoming newsletter. How cool is that? It’s like being semi-famous without the pesky paparazzi. Just submit your comment below, or you can always send an email to info@stylebell.com. Once you’ve used the brazilian keratin straightening system on your hair, could you ever go back to using any other chemical straightening system without causing damage to your hair? I had the Coppola Keratin treatment done back in early November 2009. I feel as the treatment is no longer in my hair. Besides that if I want my hair to look good (always!) I have to wash everyday other wise the top of my hair looks oily!!!!! Has anyone else experienced this? Have you done in research on the Coppola Keratin Treatment? I am an African American woman with natural hair. I know most BKT contains formaldehyde and do not want to put anything like this in my hair. Thanks. how soon after a paul mitchell keratin treatment should you wait for the next treatment if you were not happy with first treatment? I just have a question about ceramic and gold-plated curling irons. Which is better for your hair? I have a ceramic hair straightener by CHI and it is great, but I am looking for a curling iron and many people have suggested one my Hot Tools, but it is gold-plated. Should I go for it, or opt for a ceramic one? If so, which do you recommend? I have had the Coppola keratin done many times in a salon. I recently had my friend do this at home and the results were different. This time my hair felt really dirty once it was applied and has not been the same texture since. Did we over saturate the hair? Any feedback would be appreciated.